TEMPLE OF THE SMOKE started in 2010 in Belgrade, Serbia. A four piece featuring Dragan Mirkovic (drums, percussions), Marko Ilic (bass), Dusan Zica (guitar, synthesizers, sampler), and Janko Stojanovic (guitar, voice) draw inspirations from various sources – including psychedelic, space, kraut and prog rock, doom and stoner metal, electronic and experimental music – to create a sounding musical blend of their own. It can best be described as mostly instrumental, well composed and arranged, hard edged and melodic, multi dimensional Space Rock phantasmagoria. TOTS is definitely one of the most talented and competent rock-band with a handful of secrets and surprises to come out of Eastern Europe. Contact the band through their Facebook page. Despite its explicitly menacing title, Temple Of The Smoke Against Human Race happens to be quite a playful piece of work. With an entertainingly tidy and perfectly arranged instrumental fusion of numerous musical styles and ideas, TOTS defy every attempt to pigeonhole them as one thing or another. The best approach is probably to abandon all categories and go with the flow… But if you still need to classify this music call it Space Rock with the infusion of prog, acid-psyche, reggae, dub, kraut-rock, doom, stoner, and experimental electronic elements. Each song can stand on its own, but when digest as one, it works in the manner of a concept album which tends getting darker and heavier in its second half. Spicy, evocative, and hypnotic, Against Human Race is an unpredictably adventurous record inspired by various sci-fi novels and movies. Original graphics by Nikola Vitkovic. (8 tracks – 67 min.) Free streaming or immediate digital download of the album (in your choice of MP3-320, FLAC, or just about any other format you could possibly desire) is available through Official R.A.I.G. Bandcamp. "This album is pure eclectic music, everything from space-rock to psychedelic rock to stoner rock to krautrock to straight-ahead metal to even reggae is flawlessly blended into a sonic assault that sounds utterly unique... There has been some fine space-rock albums released in the last couple of years and this is easily one of the best. For fans of Hawkwind, Ozric Tentacles, Pink Floyd, King Crimson, and stonerish, meditational doom like Om. (Score: 9.5/10)" – by Ed Barnard at Doommantia (USA) (September 2011). 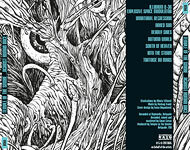 "Temple Of The Smoke set a course for abrasive, misanthropic sludge and then wind up somewhere else completely, blending almost entirely instrumental space rock, dub and the occasional stretch of heavy riffing to result in a widely-varied 57 minutes …Against Human Race finds justification for its length in the diverse spirit of the songs comprising. 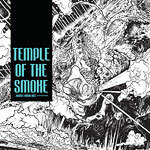 And given that diversity, Temple of the Smoke’s debut is also remarkably cohesive as an album, aided once again by the transitions between tracks and the confidence with which the material is performed. 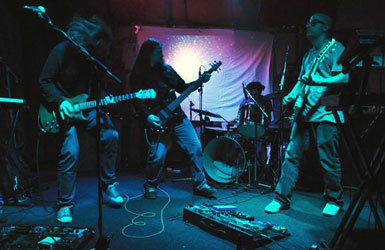 Where a lot of space rock these days is content to jam into the deep reaches where telescopes fear to tread, Temple Of The Smoke have a direction and an aesthetic in mind, and if nothing else, the album lays down the challenge for the band to work to combine the pieces that make it up into something singular as they move forward. But for a group who’ve been together for only a year at the time of the record’s release, Against Human Race – despite its misleading title – is an impressive beginning and worth the several spins it takes to really get a handle on it." – by H.P.Taskmaster at The Obelisk (USA) (November 2011). "Taking many varied styles, Temple of the Smoke have managed admirably to weld and weave them into a thoroughly cohesive whole. Each individual track on its own is great; together, they present an epic sonic experience not to be missed for fans of psychedelic spacerock. If you think you don’t need to hear yet another album of instrumental stoner rock, you most definitely do need to hear Against Human Race while it is still smokin’!" – by Pat Albertson at Aural Innovations (USA) (February 2012). The album was also reviewed at: Powermetal.de (Germany), Prog Sphere (Serbia), Jelen Top10's interview with TOTS (Serbia), ProgArchives (USA), Astounded by Sound! (UK), Muzik Reviews (USA), We Wanna Rock You Baby! (Hungary), Progwereld (The Netherlands), RestArt (Russia), Metal Library (Russia), Metal Library's interview with TOTS (Russia), Sea Of Tranquility (USA), iO Pages (The Netherlands), Progressive Area (France), Cosmic Lava (Germany).